Lexie and I were swimmers from Day 1. As swimmers on a competitive team starting at 6 years old, we practiced intensely. My favorite part was the excited, heart-racing feeling I’d get before every race. Unfortunately, it didn’t take long before that anxious, heart-pounding started to stem from the way I thought I looked in my swimming suit, rather than my performance. 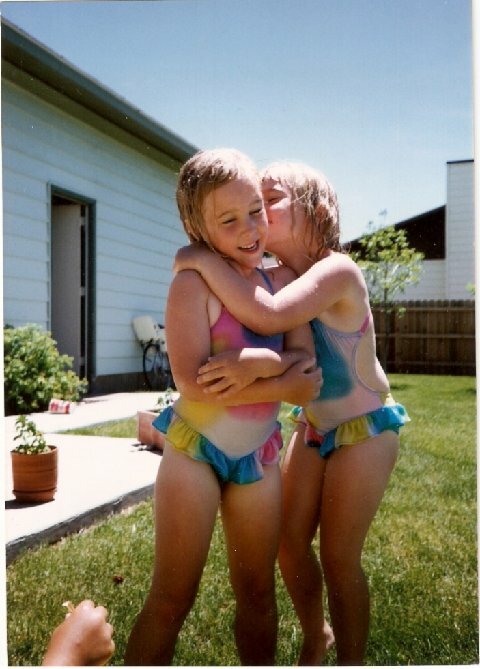 In third grade, I stood in front of a full-length mirror, noticed one dimple in the side of my little girl thigh and desperately felt the need to cover up. I vowed to remind myself to keep my left hand covering the dimple on my left thigh at all possible moments I wasn’t in the water. 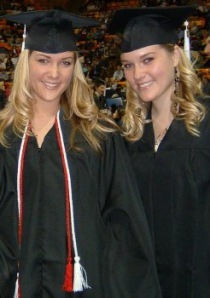 Lexie (L), Lindsay (R) at graduation for our bachelor’s degrees in 2006 at Utah State University. 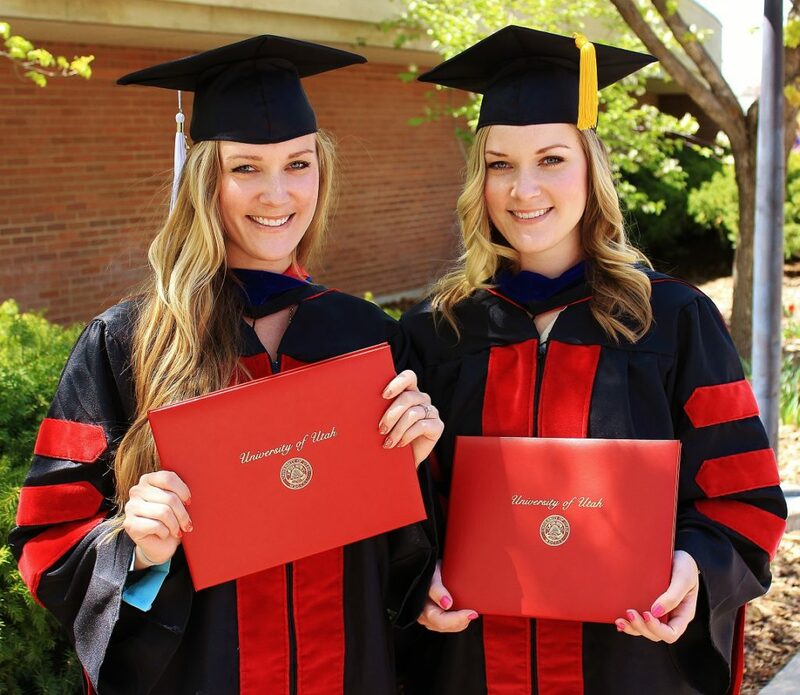 Lexie (L), Lindsay (R): Graduating with our PhDs from the University of Utah in 2013. If Lexie and I hadn’t experienced that deep body shame throughout our young lives, we wouldn’t have ever figured out our lives’ missions to combat it. That shame has transformed into an anxious, heart-racing desire to share this truth, and thankfully, it’s contagious! When good people hear true messages that help us to see women as more than bodies, and capable of much more than being looked at, their hearts beat faster, too. Those people help share these truths — through blogs, social media, everyday conversation, and changed thoughts and actions in every facet of their lives. We share everything we’ve learned here at our website (beautyredefined.org) and on social media (Facebook, Instagram, and Twitter) and we hope you’ll join us in helping our world see these myths about female power and value as they really are.